It has been a little over a week since Twin Peaks ended. Ended? I'm almost halfway through re-watching the new series by now, and while certain things do make more sense after having seen where this is all going, it remains clear that all things will not be made clear. I've been thinking a lot about what to make of, or, honestly, how to even think about what I saw over the 18 episodes of this resurrected series. It gave me my favorite hour of television ever — the bleak, inscrutable, horrifying, surreal episode eight, "Gotta light?" — and delivered more good episodes of Twin Peaks than the entire run of the original series. It opened up the world in a way that allowed us to ask a million more questions about what's "really" going on, what's behind the veil in the Twin Peaks Universe, and over the 18 episodes, answered about 35 of those questions. There are bad jokes, goofy happenings and characters, seemingly pointless scenes that go on for a long, long time, and scenes of miserable violence and suffering. WHAT'S IT ALL MEAN?? That's what it seems like everybody wants to know. And I kind of want to know, too. But does it have to mean something? Really? For me, now, the question "What the hell did I just watch?" has changed, and given way to "What the hell did I just feel?" And I think that's maybe the place I was supposed to get to. It occurred to me that Twin Peaks at least this incarnation (much less-so the original series) is poetry. Many, many years ago I made peace with poetry by no longer requiring of myself as a reader that I "understand" it. It became far, far more important to me that I feel it. And that was enough. This is the water, this is the well. I love e.e. cummings with a burning passion. It's fine if you don't. The first time I read "anyone lived in a pretty how town," as a child...maybe a teenager but maybe not...it brought tears to my eyes. Actual, oh-God-don't-let-anybody-see tears. In high school, when I saw that we were going to study that poem in English class, I was thrilled. And then we "broke it down" and "analyzed" it, and it robbed the poem of its magic. I mean, in that moment. Nothing can rob it of its magic, but it was a grind. Ok, yes, "Anyone" and "Noone" stand in for people's names, sure. And why is it a "how town"? Because people are busy, I guess? I mean, look. Sure. You can pick it apart, you can ask why "floating" comes before "many," you can unpack how many times the same dream metaphor is used for death. You may hit the egg with a hammer to see what's inside, but you won't have an egg anymore. Sometimes it is enough to intuit, and to feel, and to put the analytical away. Why, in your dream, might you be terrified of a jug of milk on a counter? No reason, except you know you should be terrified of it. It doesn't matter if they really met last year at Marienbad. It is enough to wonder. 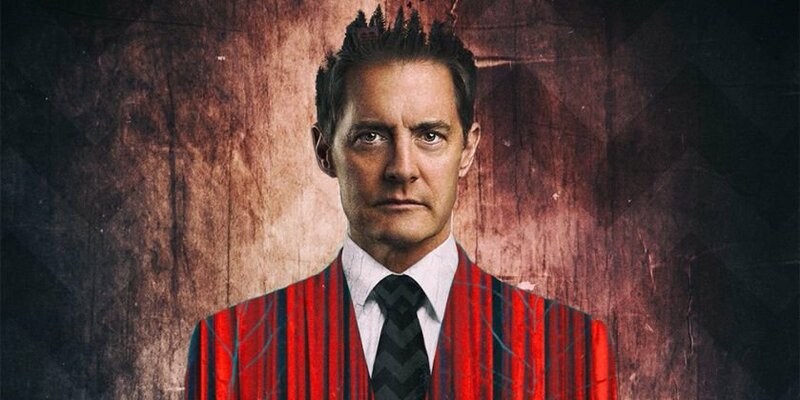 So that's where I'm at with Twin Peaks, and thank you, thank you to the executives at Showtime who gave us this artwork. I don't know that they got what they needed out of the business part of this show, but I feel like we have been given a gift. I don't love everything about it, but the fact that it exists in the world gives me joy, and ties me up in knots, and makes me ask questions I so, so rarely get to ask while watching TV. Why is Monica Bellucci a dream detective? Because that scene is magic. Why is Phillip Jeffries a tea kettle? Because David Bowie died and his character had to be something. What happened to Becky? Or Audrey? Or, hell, Laura Palmer? Savage men do terrible things, and these cycles should stop, but often don't. If there was a message to these 18 episodes, I think it was that. 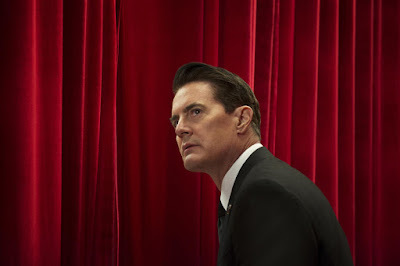 But Dale Cooper is always, I think, the best of us. That part of us that wants to always fight against these corrosive, destructive cycles, even if we do not win. Even if we cannot, ultimately, win. And that, for me, is enough. Even if I'm wrong. Posted by Vance K — cult film reviewer and co-editor of nerds of a feather, flock together since 2012, Emmy-winning producer, and singer of loud folk songs.